Where do people draw the line? What sets them off? What is the correct amount of peanut butter and jelly sandwiches a person should consume? 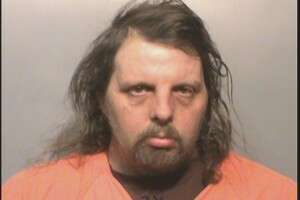 According to the Des Moines Register, the Iowa man pictured above, Jerome Davis, believes the answer is three. His brother allegedly made three peanut butter and jelly sandwiches, and ate them in the living room. Less than an hour later, HE MADE THREE MORE! This incident brings to mind multiple questions. Foremost, is what to do if you have a knife in the vicinity of your face, but also would five PB & J’s be acceptable to eat in a living room? Would six sandwiches in the kitchen be fine? What if the sandwiches were grilled cheese? Is there an acceptable age, say ten years old, to eat six sandwiches? Since the Davis brothers are both in their 50’s, is 40 years old the age cut off? While we ponder these questions, Davis had his Buffer Zone established when he was taken to the Polk County jail. This entry was posted in Uncategorized and tagged #book, #bufferzone, #community, #crazy, #crime, #dysfunctional, #family, #food, #humour, #pb&j, #writing by thebufferzoneday. Bookmark the permalink. Those are great questions. Would 6 sandwiches, cut into squares and neatly layered on a plate, and eaten in the kitchen, be acceptable? I guess that would depend on whether the crusts were cut off. I think if he shared one the whole incident could have been avoided. They must have missed Elmo’s lesson on sharing as children. Perhaps he will learn to share while incarcerated. This incident leaves me speechless. Maybe mostly the idea of the knife at one’s face, but also the horror of eating in the living room – crumbs are anathema in mine. Great post, as usual! LOL!! Thanks! I don’t mean to frighten you, but there were probably CRUMBS IN THE BEDROOM TOO! Oh. Now that image is in my head. I didn’t want to think about the bedroom.